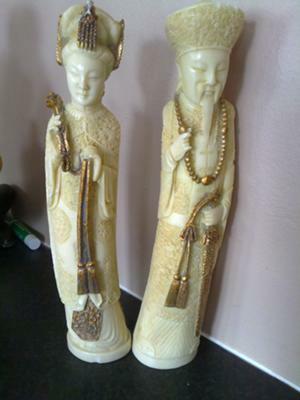 Great Charity Shop find – A pair of antique Chinese Ivory Figures? I saw these antique Chinese Ivory figures of carvings of a man and woman in a charity shop, and I didn’t want to seperate them, so I bought them both. I think the figures are antique but I am not 100 per cent certain. If anyone could please let me know that they definitely are Chinese and definitely ivory or what they actually are and where they might be from. I have also included a photo of the marking which is on the base of each figurine. 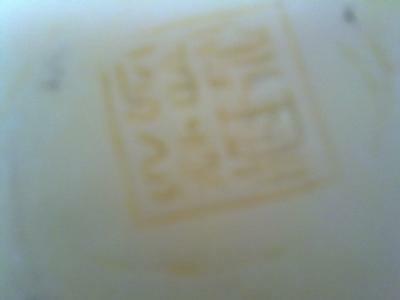 My partner has a pair of these Chinese ivory figures with the same stamp mark are they genuine and worth anything. I collect ivory in a small way. I wish I could see something like these Chinese figures in a charity shop. They are ivory and very beautiful.